Will the smallsat community get charged up by Electron? It seems like hardly a week goes by this summer without another smallsat launch venture announcing their plans. That’s an exaggeration, but only a mild one. In early July, Firefly Space Systems announced Firefly Alpha, a vehicle designed to place up to 400 kilograms into low Earth orbit (LEO) for $8–9 million. At the NewSpace 2014 conference last week, CubeCab, a company that plans to develop an air-launch system for individual CubeSats, won the $20,000 first prize in the Lightning Pitch competition. Now a company based in both New Zealand and the United Stated is joining the fray. 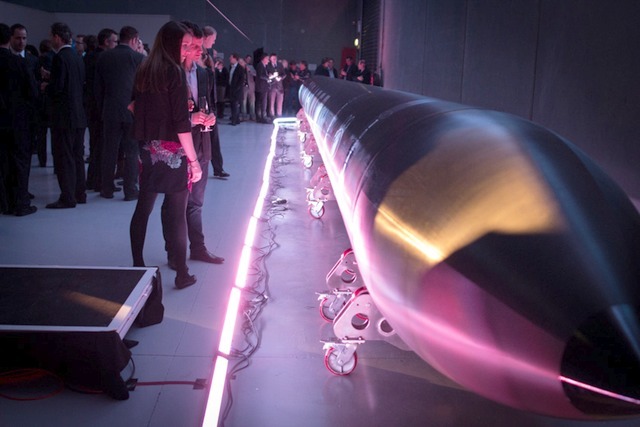 Rocket Lab Ltd. announced plans Tuesday for Electron, a smallsat launcher designed to place 110 kilograms into a 500-kilometer Sun-synchronous orbit for $4.9 million. Rocket Lab appears to be taking a page from SpaceX in its vehicle design. Electron uses a design like the Falcon 9, using nine “Rutherford” engines in its first stage and a single engine of the same design (with what appears to be a different nozzle to work better in vacuum) in the second stage. (Electron also has a solid-propellant third stage.) Rocket Lab’s Rutherford engine uses liquid oxygen and kerosene, producing about 13,300 newtons (3,000 pounds-force) of thrust. However, the company’s announcement generates many questions as well. The company has an unusual structure, calling itself “an American company with a subsidiary and head office in Auckland, New Zealand.” While the announcement is datelined in Los Angeles, the unveiling event took place in New Zealand, heavily covered by the local press. The company doesn’t explain this arrangement, which may have some contractual benefits (such as being able to compete for US government business) but likely also has export control and other challenges as well. Khosla, though, is not the only source of funding for the company. The company announced earlier this year it won a Callaghan Innovation Research and Development Growth Grant form the New Zealand government. The size of that grant isn’t disclosed, although one local media report indicated it was valued at NZ$25 million (US$21.3 million). That report also said the company has received investment from another individual, Sir Stephen Tindall. Ultimately, Rocket Lab and other ventures in this market may face the same challenge, regardless of their different technical approaches: is there sufficient demand from the smallsat industry for dedicated launches at these prices? SpaceX withdrew the Falcon 1 from the market because of, according to it, a lack of demand, even though that vehicle had similar capabilities and prices as some of these new ones. Certainly interest in smallsats has grown considerably in recent years, but that demand is also being fulfilled, for the moment, primarily by less expensive secondary launch opportunities. 7 comments to Will the smallsat community get charged up by Electron? An American company with it’s head office in Auckland, really? What’s next? An American company with it’s head office in Pyongyang? I think there’s a big difference between New Zealand and North Korea, kiddo. Bob, me old china, the main thing that they have in common is that they’re both NOT America. Perhaps the driving reason for New Zealand here is the oft quoted one – the “Range”. Though that does leave open the question of why they didn’t go out to Mojave? Is the Mojave situation not quite there when it comes to over-flight of new expendable, orbital capable vehicles? Speaking of Firefly, it’s interesting that their CEO used to work at Virgin Galactic, and Blue Origin, and SpaceX. Put another way, he’s been a key engineer at quite a few important modern space businesses. Clearly the space industry experts aren’t hanging out on “Hacker News”. Having held positions at these companies doesn’t mean that he left these companies in good terms.